Pancit Lomi ~ I Can Do That! 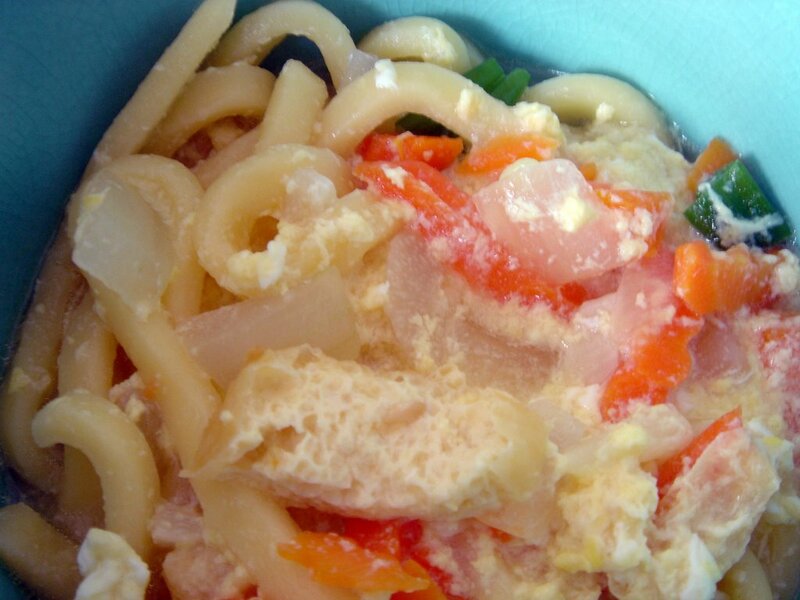 I found these lomi noodles last week in the Korean grocery (where else?). Never tried cooking these before but eaten them more than 20 years ago in Manila maybe once or twice. I looked online for the Pinoy recipe, substituted soy puffs (fried tofu) for the shredded chicken. I did not add sesame seed oil because the lomi I remember did not have it. The beaten eggs added right after the heat was turned off give the noodle dish an interesting texture and of course added protein. The ingredients I used are pictured above (I forgot to include the carrots in the photo). With plenty of seasonings you won't really miss the chicken. This is a very substantial and satisfying Filipino meal. I'm sure most Filipinos know Jacobina: crunchy, flaky, milky(?) snacks with just a hint of sweetness, perfect with halo halo or ice cream. These are tiny, about 1 x 1 inch, the jacobinas I used to snack on were bigger than these. Everything seems to be getting smaller in the Philippines, perfect example: ChocNuts, they are now 1/3 their original size.